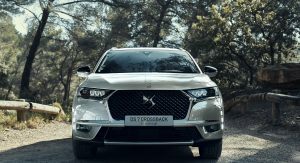 Following Peugeot’s announcement on their new plug-in hybrid models, DS Automobiles also revealed the details of the electrified DS7 Crossback E-Tense. 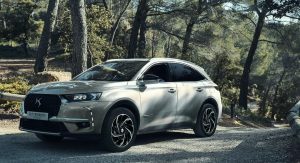 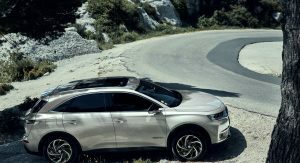 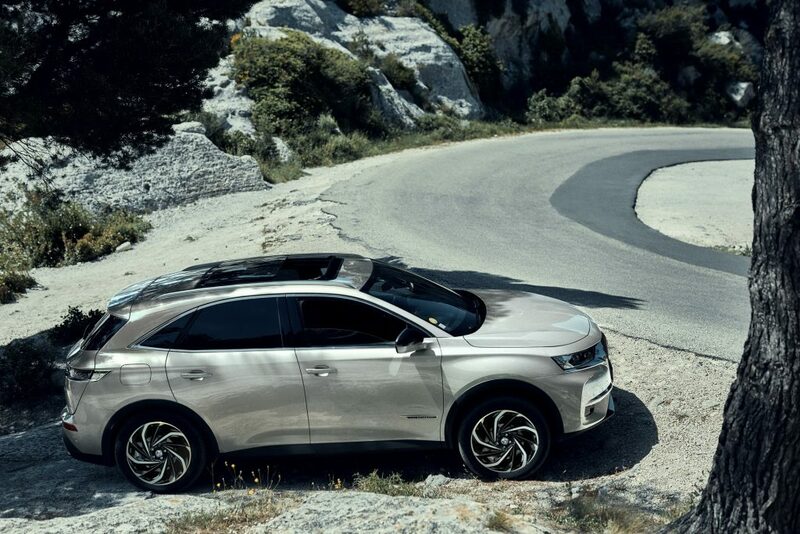 The French SUV is powered by a plug-in hybrid powertrain that combines a turbocharged 1.6-liter petrol four-cylinder engine with two electric motors, with one of them mounted on the rear axle giving the DS7 all-wheel drive. 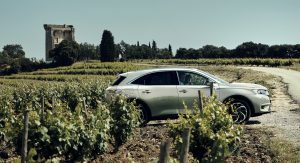 The petrol engine produces 197hp (200PS) while the electric motors offer 107hp (109PS) each. 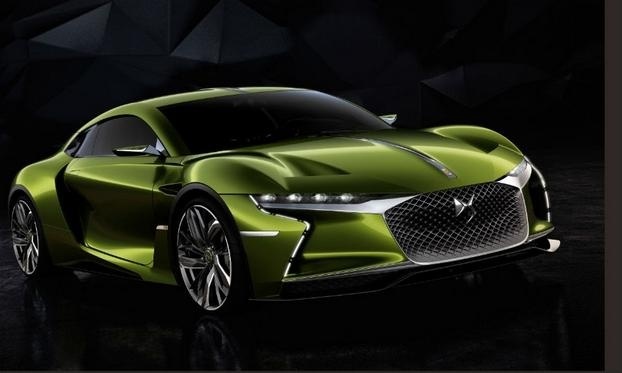 According to DS, the combined output is 296hp (300PS) and 331lb-ft (450Nm). 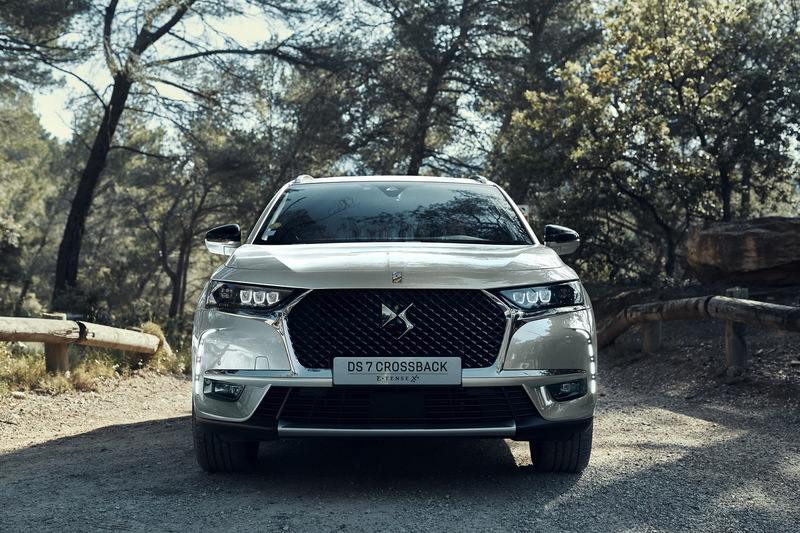 The battery pack has a capacity of 13.2kWh, enabling the new DS7 Crossback E-Tense to travel 31 miles (50km) on electric power only in the latest WLTP cycle. 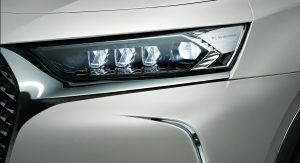 In addition, the new plug-in hybrid DS can reach speeds of up to 83mph (135km/h) in its pure electric driving mode. 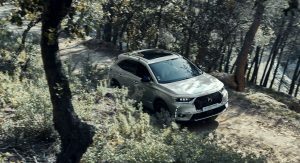 Speaking of modes, the new DS7 Crossback E-Tense defaults on the Zero Emission (EV) mode but also offers Sport, Hybrid and 4WD for the driver to choose from. 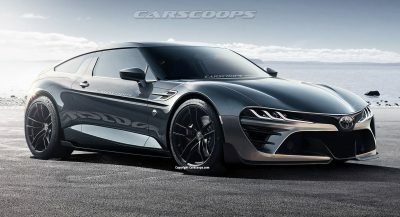 0-62mph (100km/h) comes in 6.5 seconds, while CO2 emissions are expected to be less than 50g/km on the WLTP cycle. 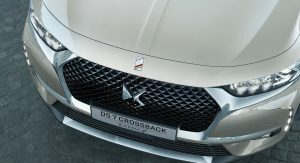 The new variant of the DS7 Crossback will feature PHEV-specific functions, such as the ‘E-Save’ which allows the driver to save enough energy to drive in pure electric mode for the last 6 or 12 miles of a journey. 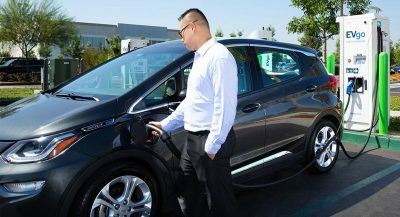 DS says that the battery pack can be charged in 2 hours using a 32A wall terminal or a 6.6kW charger, while plug it into a traditional socket and the charging time will be 8 hours. 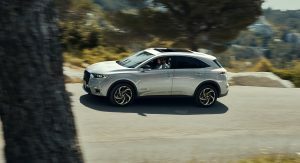 Despite hosting a battery pack, the DS7 Crossback E-Tense claims to offer “the same spaciousness and a maximum boot space” with its conventional ICE siblings. 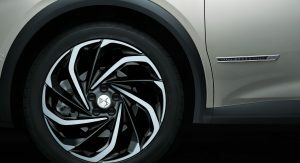 The plug-in hybrid E-Tense also features newly-designed 19-inch wheels and a new color called Crystal Grey. 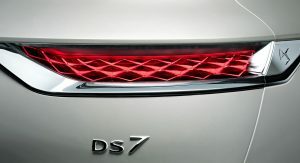 when i saw ds7 first time, i just did not like it. 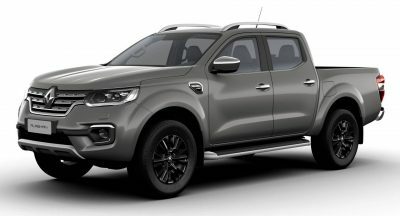 but since it has been growing on me undoubtfully. 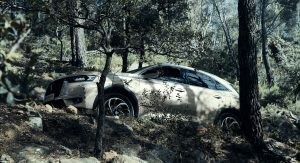 What car manufacturer doesn’t do recalls? 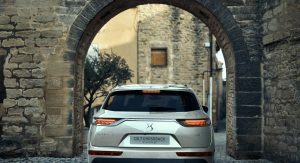 Every manufacturer does recalls, but both Peugeot and Citroen have issued about recalls involving a dozen over the past week. 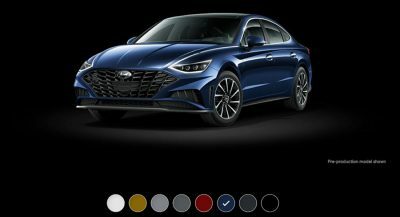 Hugely embarrassing for them, but not surprising.